I’m so excited to be hosting The Remnant Chronicles Read Along with these amazing bloggers- Bridget from Dark Faerie Tales, Christina from The Book Hook Up, Stacee from Adventures of a Book Junkie, and Jamie from Two Chicks on Books. The Kiss of Deception stands out from your other books since it is set in a different world than our own. Can you describe some of the difficulties or advantages writing outside of our reality? This is a tricky question to answer, because even though the Remnant world doesn’t look like our world, it is based very much on our world, really, in the same way so much of fantasy is. Often fantasy worlds are metaphors for our own, and let us see our reality in a new light. In Remnant’s case, it was like our world in a very real sense too, because it grew out of the ashes of our present one, along with whatever snips of memory and tradition the few survivors of the “Devastation” had to pass on, and with the scrabbling to survive for generations, much was lost—except story. But in the Remnant world, as in our own, the story changed as it was passed along, or sometimes it was purposely twisted to serve another purpose, and what started as a hazy memory told in story, became the history and belief system of many nations. So yes, the Remnant world looked and operated differently in so many ways and writing that part was a fun challenge, but in so many other ways—especially in the ways in which we love and hate each other—it was still very much the same. Some things are timeless. This August the last of The Remnant Chronicles, The Beauty of Darkness, releases. How does it feel to be saying goodbye to this series (*sniff*)? It is hard to say goodbye. I’m still not sure I have. A few characters keep whirling in my head, voices, snips of dialogue, story beginnings. Just because you write “the end” it doesn’t mean that a world vanishes overnight or the gears in your brain stop turning. On the other hand, it is enormously satisfying to see the stories come to completion, the full arc realized. Even when you think you know how a story will end, you are never entirely certain it is all going to come together how you hoped, not so much from a plot standpoint but from an emotional point of view. 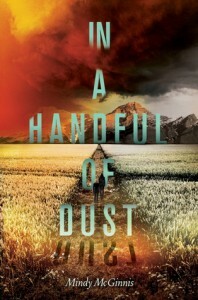 And of course I was juggling three main characters arcs—not just one. It was a challenge but I was happy with the outcome for each of the characters. It felt true and complete, and typing “The End” was satisfying, even if it was bittersweet to say goodbye. Did the story and characters go as you had planned or did they surprise you as you wrote? Oh, there were always surprises. Secondary characters came on the scene who threw me curve balls. In the last book, both the Komizar and Aster grew into much more full-bodied characters than I expected. Aster hadn’t even been planned. She first appeared in my head when she dropped boots off at Lia’s doorstep. I had no idea she would steal my heart. That is what I love about writing. If I had every detail planned it would feel robotic. The world and the characters have to inject their own life into the story, and I follow their leads. In The Beauty of Darkness there were some surprises too—a character who appeared in the first book, Natiya, returned, and I saw a young Lia in the making. It was interesting for me to see Natiya’s transformation. Her experiences had made her stubborn and fierce which we got a glimpse of in the first book. It exasperated Lia to deal with someone so much like herself. 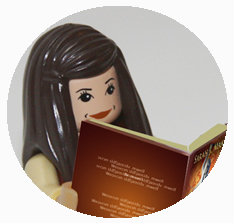 And finally, in The Heart of Betrayal, Aster stole a book from the piles in the caverns. 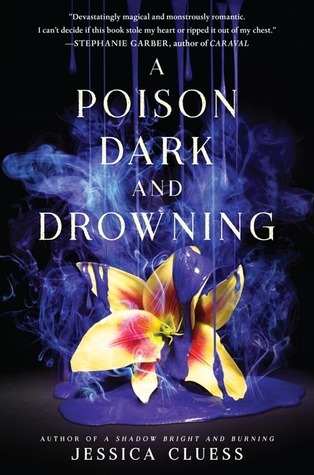 In The Beauty of Darkness, I had to find a “description” for this book and I brainstormed tons of them with both my editor and agent and it seemed nothing was quite right and finally one came to mind that was not only perfect for the story, but perfect for Aster too. So some surprises are always part of the writing process, even when you think you know the direction you are going and how everything will play out. What do you have coming next? Ideas are simmering. A few have taken hold. I’m waiting to see which one rises to the top and wins my undying attention. Are you as excited as I am about The Beauty of Darkness? It releases NEXT MONTH. I can’t wait. Meet the Newbies is hosted by Rachel from A Perfection Called Books and is a way to get to know the latest debut authors and get a glimpse of their books. Check out all the authors and blog on the tour here. 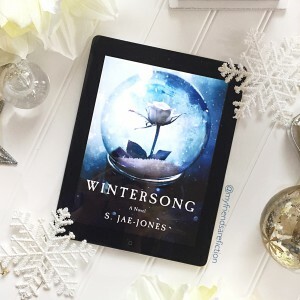 From the moment I heard about Wintersong my heart skipped a beat and I knew I must, MUST, read this book as soon as humanely possible. It pulls from so much I love (Labyrinth, David Bowie as inspiration? SOLD). Sometimes, we run across a book summary it is so ‘us’ we feel completely connected having never read a word. That’s me and this book. I was HONORED when asked if I wanted to host the author, S Jae-Jones. S. Jae-Jones, called JJ, is a voracious and indiscriminate reader, an avid traveller, and something of an adrenaline junkie. Beware the goblin men and the wares they sell. The most obvious question and thus I must ask it, why the Goblin King? How much of the movie Labyrinth can we expect? Why not the Goblin King? 🙂 To be honest, I don’t really have an answer for that, or at least not a straight one. Labyrinth obviously had a huge effect on me as a little girl (my name is Sarah, after all), but when I watch it as an adult, some of its storytelling flaws come through. 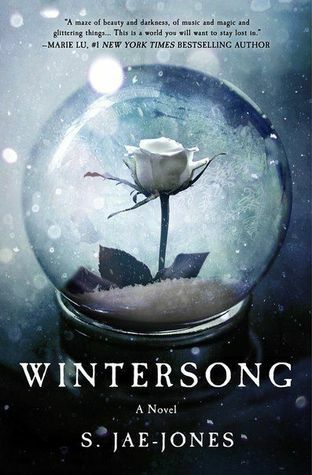 Part of me wanted to fix some of the thematic dissonance and logic problems of the movie, but writing WINTERSONG wasn’t as conscious as that. 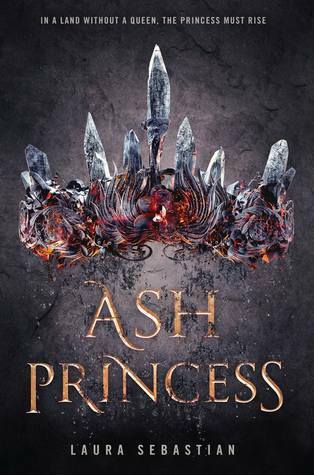 I like Underworld stories, I love the trope Death and the Maiden, I love Franz Schubert’s Der Erlkoenig, I love David Bowie, glitter, and goth things and all of that came together in this book. As for how much of the movie you can expect to find in the book, well, my editor did make me scrub out a lot of the direct references. 🙂 (And she was right for doing so; we want the book to stand on its own, after all.) However, there are two direct homages to the movie I couldn’t bear to remove. Easter eggs for my readers! Oh, and my Goblin King has mismatched eyes. Just like David Bowie. I’ve read that your novel was first geared to an adult crowd but has been altered for a younger audience. Can you tell us how that changed the book? From the summary and your website I can see that Mozart has a large influence on your work. Are you a musician? What about him and his music captivate you? I am a musician insofar as I’ve been trained in music since I was very little. I do love music of all kinds: classical, pop, rock, country, hip-hop, etc. One of my earliest memories is sitting at my family’s old Yamaha upright piano, my feet dangling off the bench, picking out how to play Yankee Doodle by ear with just the black keys. I asked my parents for piano lessons when I was three; they told me to wait until I was four. I am a musician insofar as I am someone who can play a vast array of instruments competently (many self-taught), but without any true genius. In other words, I am just musical enough to love it fiercely, but not enough to be anything but passable. As for Mozart…why does anyone connect to a musician? Why do I love Mozart? Why do I love David Bowie or Marc Bolan or Lady Gaga or Yeezy or the Dixie Chicks? My exposure to Mozart did come at a young, impressionable age; my mother loves his work, so I grew up listening to him the way other children grow up listening to Bob Dylan. But if you were to ask me what I connect to in Mozart’s SOUND, that ineffable quality that is uniquely his, I suppose you could say his transcendence. There’s a clarity and sprightliness to his voice (even in his unfinished Requiem) that’s almost magical. 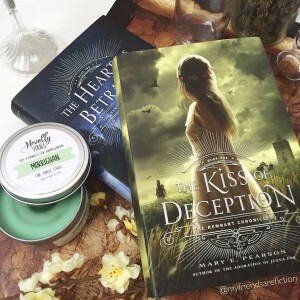 As a reader I always hope to deeply connect to one or more characters while reading- as a writer did you find yourself connecting deeper to one of your characters? If so, which and why? This is tricky for me to answer because all my characters are in some part me. I suppose it’s almost easier to answer which character I aspire to be. Well, maybe aspire isn’t the best word, but there’s a goblin in my book named Thistle, and her contrary, spiteful, spiky personality was really fun to write. With your book being scheduled to release in early 2017 what part of this journey has been the most surprising? 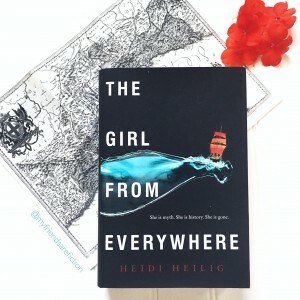 Today I’m featuring the wonderfully talented and kind Heidi Heilig. 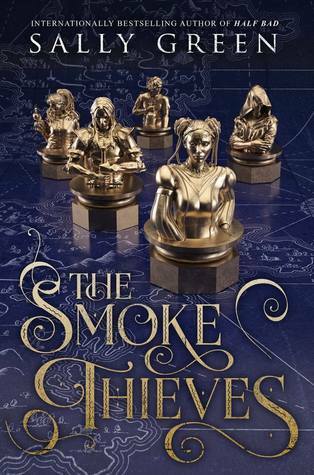 I was blown away with her original take on time travel and how beautifully she wove mythology into her story. Favorite Quote/Motto: The world will be better for this/That one man, scorned and covered with scars/Still strove, with his last ounce of courage/To reach the unreachable stars. Heidi grew up in Hawaii where she rode horses and raised peacocks, and then she moved to New York City and grew up even more, as one tends to do. Her favorite thing, outside of writing, is travel, and she has haggled for rugs in Morocco, hiked the trails of the Ko’olau Valley, and huddled in a tent in Africa while lions roared in the dark. 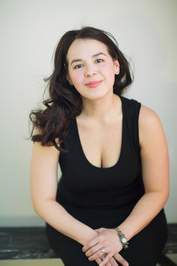 She holds an MFA from New York University in Musical Theatre Writing, of all things, and she’s written books and lyrics for shows including The Time Travelers Convention, Under Construction, and The Hole. She lives in Brooklyn with her husband and their pet snake, whose wings will likely grow in any day now. Your debut novel, The Girl From Everywhere, was beautifully executed, written and so original. It was obvious to me while reading that you dedicated a good amount of time researching mythological creatures, settings, and time periods. What were some of your favorite things you stumbled upon while gaining knowledge for this book? Research is truly one of my favorite things, and as is always the case, so much of what I learned didn’t make it into the final draft. I spent a lot of time actually setting up hypothetical trade routes between eras and maps–things like going to Lerna to collect hydra’s blood, which is a deadly poison, as well as the blood of Pontus ducks which is a mythical antidote to poison, and selling both in 17th century France where there was a rash of political poisonings. Something else I got to really dive into was sailor and pirate lore, especially surrounding women. I loved learning that while women were sometimes considered bad luck aboard, they were also often thought of as being the greatest navigators. 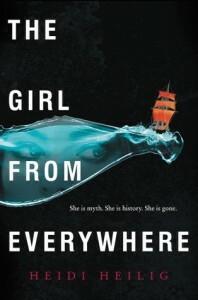 And I got to read a lot about famous female pirates like Ching Shih and Grace O’Malley. I’ve read my fair share of novels that included time travel but never have I read one with a similar method as you’ve created. How did the idea of your travelers only being able to use original maps to venture through time (and only once) come to you? I’ve always loved old maps, both because the edges are populated with sea monsters, and because I’m obsessed with the idea that an incautious sailor could go too far and sail off the edge of the world. That was what prompted the idea of travel via map–the idea that the world ended at the neatlines. The limitation of only being able to use a map once both prevents potential paradoxes and also imposes an additional challenge on the characters, which makes for better drama. Obvious question but I have to ask- if you could-where and when would you time travel? Oh there are so many placed I’d go! My answer changes almost every time i’m asked, but recently I’ve become fascinated by the colonial era China, with the high stakes political and social issues of the opium wars. Plus I love old photographs of Chinese people in Victorian era outfits. 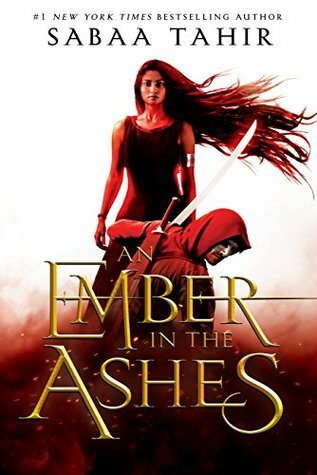 I really felt that one of the strongest features in this book was the character relationships especially between Nix and her father. 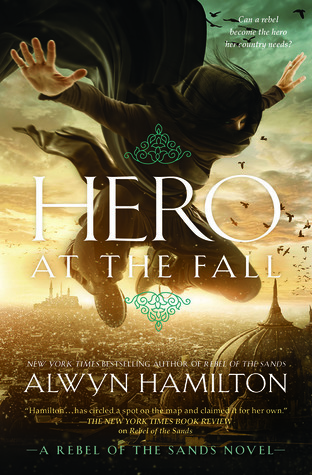 When writing do you tend to have a favorite character yourself? If so, does it make that character harder or easier to write? The relationship between Nix and her father, Slate, was definitely the most familiar relationship to me, because it’s reminiscent of my own internal struggle with regrets and bipolar and self-destruction. The fact that it was so close to heart did make it tougher to write. By contrast, Kashmir is my absolute favorite character, and he came fairly easily to the page. Can you give us any hints as to what’s coming in the follow-up and conclusion to the series? 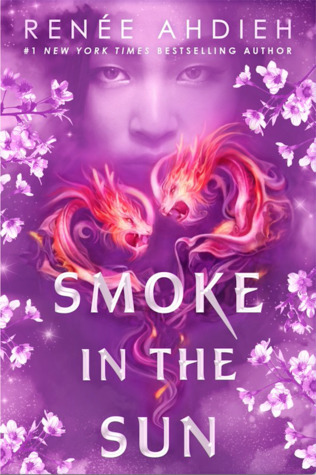 The second (and final) book of this duology is currently in my editor’s hands, and while I don’t want to spoil anything, I can tell you that it concerns a dire fortune for Nix, an infamous liar from history, and a mythical kingdom doomed to sink into the sea. 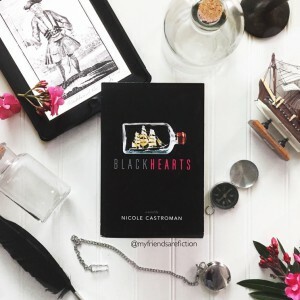 I’m featuring the wonderful Nicole Castroman, author of Blackhearts, today. 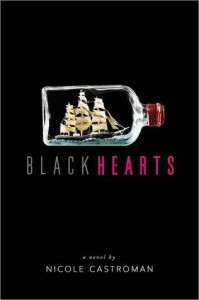 I’ve read Blackhearts and let me tell you- it’s awesome. AND there’s going to be a sequel. Nicole was lucky enough to come with her very own best friend…she has a twin sister who can read her mind and finish her sentences for her. Edward “Teach” Drummond, son of one of Bristol’s richest merchants, has just returned from a year-long journey on the high seas to find his life in shambles. Betrothed to a girl he doesn’t love and sick of the high society he was born into, Teach dreams only of returning to the vast ocean he’d begun to call home. There’s just one problem: convincing his father to let him leave and never come back. 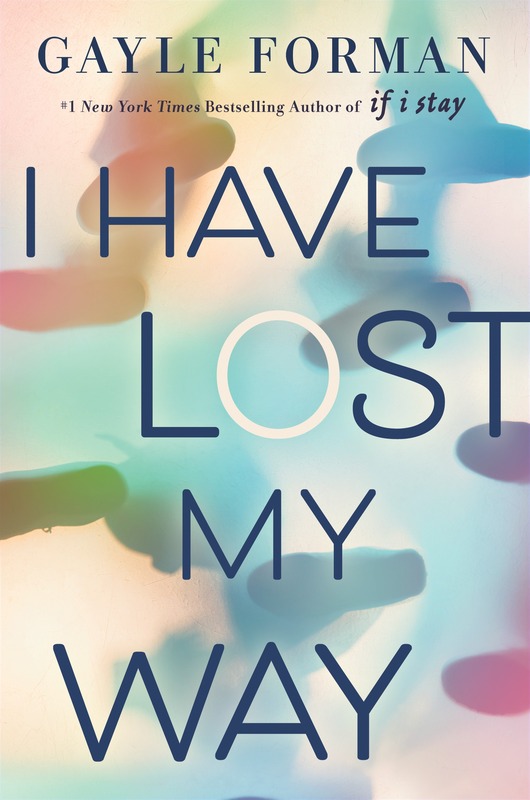 Following her parents’ deaths, Anne Barrett is left penniless and soon to be homeless. Though she’s barely worked a day in her life, Anne is forced to take a job as a maid in the home of Master Drummond. Lonely days stretch into weeks, and Anne longs for escape. How will she ever realize her dream of sailing to Curaçao—where her mother was born—when she’s stuck in England? 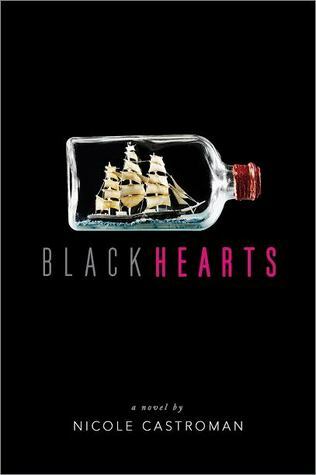 In your debut, Blackhearts, you venture into the backstory of a nearly mythological pirate, Blackbeard. You take a look at what his life might have been like prior to his pirating days and what would lead the son of a wealthy merchant to venture into the unsavory life of a pirate. What first drew you to Blackbeard? Just the fact that there isn’t anything known about his earlier life. It was a blank slate of one of the most notorious pirates to sail the seas. What compelled him to leave everything he knew behind to live such a rough life? It is obvious from your writing and the inclusion of historical details that you did a good amount of research about the time period, etc. Could you tell us some of the most interesting things you stumbled upon in your researching? I found all of it fascinating. From the way they dressed to what they ate. I read several books about what life was like in the 17th century. It’s no surprise that women didn’t have many opportunities at the time, but there were always women who refused to be limited. That’s why I wrote Anne like I did. You have created some incredibly developed and well-rounded characters. Was there one you related to the most? What I love about Anne is her indomitable spirit. She simply refuses to give up. What I love most about Teach is his ability to accept people for who they are. He doesn’t see color or race. It’s people’s actions that determine whether he wants them in his life or not. I always imagine that when writing a book your characters at times surprise you and decide they want to take their story somewhere a bit different than you had planned. Did you find this to be true? Somewhat. I always had the ending in mind, but it was a windy road to get there. And of course, working with an editor helped make the story tighter. I’ve learned to love the revision process because that is where the story truly comes to life. Sort of related to the above question- what is your writing process? Do you plan things out or let the story take you where it wants to go (or a mix)? I usually like to have an idea of the ending. It’s important for me to know where I ultimately need to go, but the characters can take a different route than the one I have planned for them. 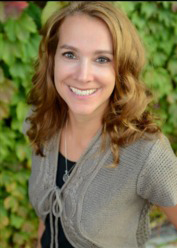 There is no other author I know that can wreck your heart and destroy your dreams of love as well as Mindy McGinnis. 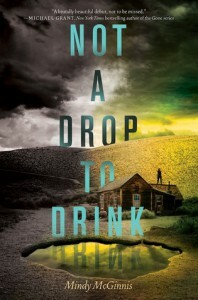 Her prior novels, Not a Drop to Drink and In a Handful of Dust are gripping, raw and heartbreaking. 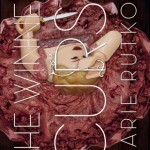 With these companion novels, Mindy created a world lacking in water and characters that epitomized survival. These two novels were startling and terrifying because of the ease in which the reader can visualize and imagine our (not so distant) future without access to water. I was incredibly impressed with the depth you went into with portraying how life would be in a world with little water in Not a Drop to Drink and In a Handful of Dust. You explained water purifying techniques and dowsing for water as well as firing rifles and traveling miles over land. What type of research did you do to learn so much about these subjects and to approach them so realistically? The honest answer is that a lot of those things were just part of my childhood. I live in an extremely rural area, and I grew up knowing how to handle firearms safely. When someone was getting ready to build a house, you called a dowser to see if there was a legitimate water source to tap into. It’s just how we live. The purifying techniques involved in both DRINK & DUST were definitely research based. I strive for realism. The method from DRINK involving plastic water bottles and exposure to the sun is called the SODIS method. You can read more about how it works in the paperback of DRINK, which has an essay from me in the extra content about the science behind it. Did you experiment with any of the survival techniques you wrote about? I do garden and can a lot of my own food, so that’s all speaking from experience. I also own a pond, but I’ve never drank from it, SODIS method or not. But if I HAD to – of course. And as a matter of principle I always inform people that I’ve never shot anyone. I think that’s an important baseline to establish. 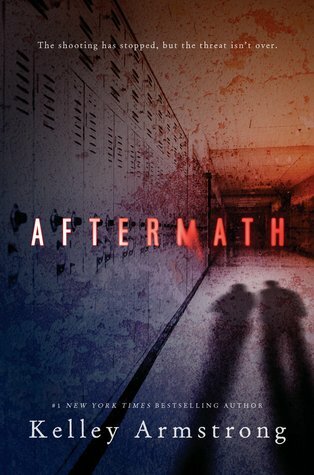 From the summary your next novel looks to focus on mental illness and criminal psychology. I can’t tell you how excited I am to see you explore both of these topics. Can you tell us a bit more than the summary provides us about your story? Sure! I’m very excited to get A MADNESS SO DISCREET out to my readers. My main character, Grace, has been a victim of abuse in her home, and is pregnant as a result. She’s from a wealthy, politically influential Boston family, so it has to be swept under the rug. In the Victorian era, inconvenient pregnancies were sometimes handled by sending the girl into an insane asylum until the delivery of the baby, explaining away their absence by saying they were abroad. This is Grace’s fate. She’s been cursed with an eye for detail and infallible memory, along with a mother who won’t listen to the truth. When we meet Grace she’s a selective mute in the asylum, having given up on language after it failed her. Asylum conditions are… pretty horrible. Grace loses her child, finds her voice in a burst of violence that lands her in the darkest corners of the asylum, and there meets a young doctor who spots her talent, knowing it will be influential to him as he moves into a new career dabbling in criminal psychology (criminal profiling). He helps her escape the asylum, and effectively removes her from the reach of her father. But faking insanity in order to live as an inmate at the Ohio asylum where the doctor works takes a toll, and she starts to question how much of her act is a farce. Combined with dark nights chasing killers – and one in particular who is targeting young women – Grace has to struggle with the fact that the life she’s escaped to isn’t exactly beautiful… and she kind of likes it that way. Could you tell us a bit about the research you did about the asylum that helped inspire your setting, Athens Lunatic Asylum? 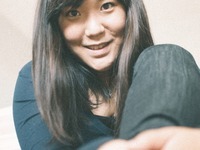 As an aside- you MUST check out Mindy’s Pintrest board here. I researched for an entire year before writing a word of this book. There was much to learn – the beginnings of criminal psychology, the history of asylum medicine (both the good and the bad), and of course historical details in general. What kind of lighting would be in a room in 1890? What would an asylum inmate be wearing? I’m very particular, and there were days when I couldn’t finish a sentence without doing half an hour of research in order to make sure I got it (hopefully) right. The specific setting – the Athens Lunatic Asylum in Ohio – has an amazing history. You can do a quick Google and learn about how it’s one of the most haunted places in the world and hear horror stories about the graveyard. And while I’m a fan of the supernatural, I’m also a fan of data. That type of history doesn’t interest me, because most of it quite frankly, just isn’t true. The Athens asylum was actually an amazing model of humane treatment for the insane. If you were crazy (or just unlucky enough to be deemed so) in 1890, it was a good place to land. One of my best resources for the history of the asylum was Asylum On The Hill: History of A Healing Landscape, by Katherine Ziff. If you’d like to learn more about the actual history of the Athens Lunatic Asylum give it a shot. I also toured the buildings, which are now part of the Ohio University campus. You can’t go into the patient wards for safety reasons (they are literally crumbling), but some parts of the building are currently in use as staff offices as well as an art gallery. The gallery is open to the public, and when you visit you can see original floors, staircases and woodwork from the insane asylum years. Definitely hit up my Pinterest board if you want to see some pics from my tour! You can most definitely repost some of my pics from Pinterest, just make sure if you use any of the older ones that you use the attribution that I did, b/c some of those actually belong to University Archives. Grace Mae, your main character, is battling with mental illness- did this make it more difficult to write her character? Ha – no. It made her much, much easier to write than a person with no issues at all. Those people don’t exist. Criminal psychology is a fascinating practice- how has it changed over the years and what resources did you use to incorporate it into your story? What’s interesting is how some things have changed – and some really haven’t at all. Methods of crime can change, but motivations essentially don’t. We’re just as human now as we were in 1890. Some of the crime solving methods from back then were incredibly spot on even today, while others are just not. And just like today, people argued within their own fields about what was and was not accurate. Phrenology, for example is something that comes up in the book. Do you listen to music while your write or for mood setting inspiration? If so what type of music did you listen to while plotting/writing A Madness So Discreet? I usually don’t, although sometimes that can change from book to book while I’m writing. With MADNESS I definitely did not. I had to be very conscientious of every detail while writing this book. There was no “flow” with this one. It was work. Every word. No room for distractions. You wrote your prior books in third person, is AMSD also in third person? It is. I don’t plan my books at all, so I don’t walk into any book knowing how it will be narrated. I just let the first line happen, and that usually dictates person and tense. 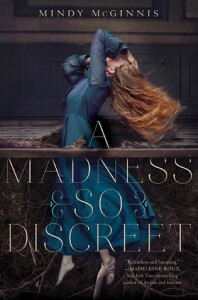 Is A Madness So Discreet a standalone, series or will there perhaps be a companion novel? As of right now it is a standalone. But I’m alarmingly ready to revisit this dark nasty world. Can you tell us anything about what you’re working on next?